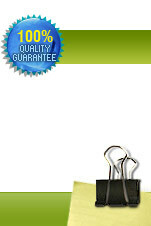 To install successfully your templates, you need to follow the steps below, though some can be skipped. Anyway, it's an easy process! 5. Use cPanel to SORT categories by "Name"
Please verify your installation steps in accordance with the order of the steps listed below! 4. HOW TO RENAME BUTTON NAMES IN HTML5 TEMPLATE ? 5. HOW TO CHANGE OR REPLACE CONTENT IN THE HTML5 TEMPLATE ? 6. HOW TO INSERT OR CHANGE VIDEO IN THE HTML5 TEMPLATE ? 7. HOW TO MAKE THE CONTACT FORM WORK IN HTML5 TEMPLATE ? 8. HOW TO CHANGE GOOGLE MAP LOCATION IN THE CONTACT PAGE ? 9. HOW TO CHANGE TITLE OF YOUR TEMPLATE ? 1. HOW TO CHANGE CONTENT IN THE HTML5 GALLERY TEMPLATE VIA CPANEL ? 2. HOW TO ADD A SUB CATEGORY WITH ITS CONTENT IN HTML5 GALLERY TEMPLATE ? 3. HOW TO ADD NEW MENU ITEM WITH ITS CONTENT IN HTML5 GALLERY TEMPLATE ? 4. HOW TO ADD PHOTOS ON YOUR HTML5 GALLERY TEMPLATE VIA ADMIN PAGE ? 5. HOW TO ADD (youtube) VIDEO ON YOUR HTML5 GALLERY TEMPLATE VIA ADMIN PAGE ? 6. HOW TO CHANGE FONT COLOR AND TEXT OF YOUR HTML5 GALLERY TEMPLATE ? 7. HOW TO MAKE THE CONTACT FORM WORK IN HTML5 GALLERY ADMIN TEMPLATE ? 9. 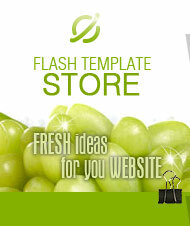 HOW TO CHANGE TITLE OF YOUR HTML5 GALLERY TEMPLATE ? 1. First step - HOW TO INSTALL OSCOMMERCE TEMPLATE ? 2. HOW TO CHANGE LOGO IN YOUR osCOMMERCE TEMPLATE ? 3. HOW TO CREATE PRODUCT'S CATEGORY IN YOUR osCOMMERCE TEMPLATE ? 4. HOW TO ADD PRODUCT IN osCOMMERCE TEMPLATE ? 5. HOW TO ADD COLOR TO YOUR PRODUCT IN osCOMMERCE WEBSITE ? 6. HOW TO ADD SIZES TO YOUR PRODUCT IN osCOMMERCE ? 7. HOW TO CHANGE SLIDESHOW IMAGES IN YOUR osCOMMERCE TEMPLATE ? 8. HOW TO CHANGE (about us, Privacy, Contact us, ETC...) TEXT CONTENT IN osCOMMERCE TEMPLATE ? 9. HOW TO CHANGE (ADD) LANGUAGE in osCOMMERCE WEBSITE ? 10. HOW TO DELETE LANGUAGE from YOUR osCOMMERCE TEMPLATE ? 11. HOW TO CHANGE (LOCALIZATION) NAME AND CODE OF THE LANGUAGE IN osCOMMERCE WEBSITE ? 12. HOW TO ADD PAYMENT METHODS (paypal, 2checkout) ON YOUR osCOMMERCE WEBSITE ? 7. HOW TO CHANGE LOGO OF YOUR WORDPRESS TEMPLATE ? 8. HOW TO CHANGE TITLE AND SMALL TAGLINE OF YOUR WORDPRESS TEMPLATE ? 9. HOW TO CHANGE BANNER IN YOUR WORDPRESS TEMPLATE ? 10. HOW TO ADD NEW MENU ITEM (category) IN YOUR WORDPRESS WEBSITE ? 11. HOW TO ADD SUB-CATEGORIES IN YOUR WORDPRESS WEBSITE ? 12. HOW TO CHANGE TEXT OF DIFFERENT PAGES ON YOUR WORDPRESS WEBSITE ? 13. HOW TO EDIT PRODUCT IN WORDPRESS TEMPLATE ? 14. HOW TO DELETE YOUR PRODUCT FROM WORDPRESS TEMPLATE AND THEN HOW TO RESTORE IT ? 15. HOW TO ADD A NEW PRODUCT AND A NEW PRODUCT CATEGORY IN WORDPRESS TEMPLATE ? 16. HOW TO MODIFY CONTACT FORM IN WORDPRESS TEMPLATE (Which users will use to contact you) ? 17. HOW TO ADD YOUR COMPANY LOCATION IN WORDPRESS TEMPLATE VIA GOOGLE MAPS ? 18. HOW TO CHNGE YOUR ADMIN ACCOUNT SETTINGS IN WORDPRESS TEMPLATE ?